We love hearing from our guests! Please email us about your visit and send suggestions for making your dining experience even better to gvgrill@qwrh.com. Green Valley Grill is operated by Quaintance-Weaver Restaurants & Hotels and run passionately by Dennis and Nancy King Quaintance and their team. At Green Valley Grill, we believe that if we all focus first and foremost on taking great care of our guests – and colleagues – the natural by-product will be happy guests, thriving staff members, and satisfied owners (who are solely QW staff members). Of course, a big part of taking care of our guests is providing exceptional dining experiences. Our first restaurant in Greensboro – Lucky 32 – opened its doors in 1989. 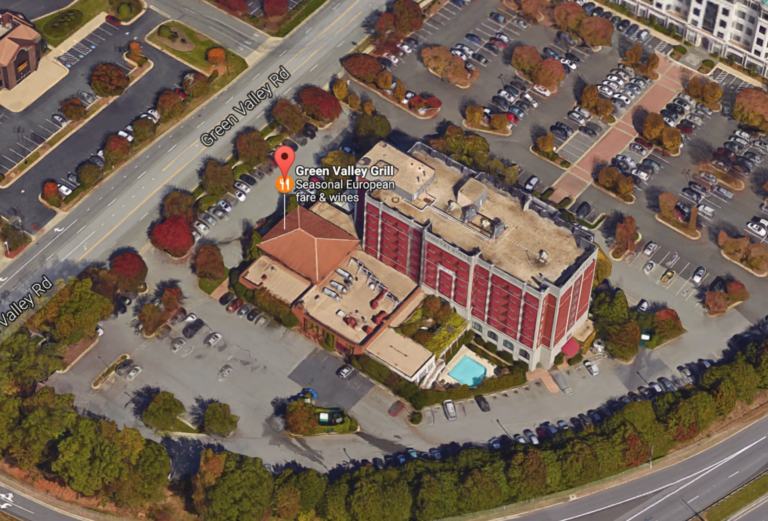 We then opened the O.Henry Hotel and Green Valley Grill in 1998, the Lucky 32 Southern Kitchen in Cary in 2002, and the Proximity Hotel and Print Works Bistro in 2007. Whatever great adventures are ahead, taking great care of our guests and colleagues will always remain our top priorities. Take a Design Tour of Green Valley Grill. Dennis plays point with the operations of Quaintance-Weaver. Mike Weaver claims to be retired, but you can still see him doing positive things in so many parts of our community. Nancy King Quaintance plays roles on our marketing, sales, operations and culinary teams, as well as serves as a coach for some of our key leaders.The company has evolved over the years to become Quaintance-Weaver Restaurants & Hotels. The family of businesses include Lucky 32 Restaurants, O.Henry Hotel, Print Works Bistro, and Proximity Hotel.